As I have traveled throughout the Galapagos Islands and have studied the miraculous wildlife, marine life, bird life and flora and fauna, I honestly never cease to be amazed with the breadth and beauty of what awaits us on each island in the Galapagos archipelago. I myself learn new things every day. Each time I step from a panga to a beach or go on a hike, or dive into the water again, my eyes are opened to new and striking images of plant and animal life around me. Do you know that there are 560 native (indigenous) species of plants in the islands, in other words, plants which arrived in the islands by natural means? Of these, 180 are endemic to the islands, meaning they are found nowhere else on earth. These huge percentages are still here today because of the isolation of the Islands and the protection insisted upon by the Galapagos National Park Service. Of fish, 20% are endemic and of land-based animals, 50% are endemic. Do you know that nearly 35% of the animal species found on these Islands exist no where else in the world? These are remarkable statistics. I strongly believe that one of my responsibilities is to share my knowledge and to use it to help preserve and conserve the pristine beauty of nature so that it continues to flourish. 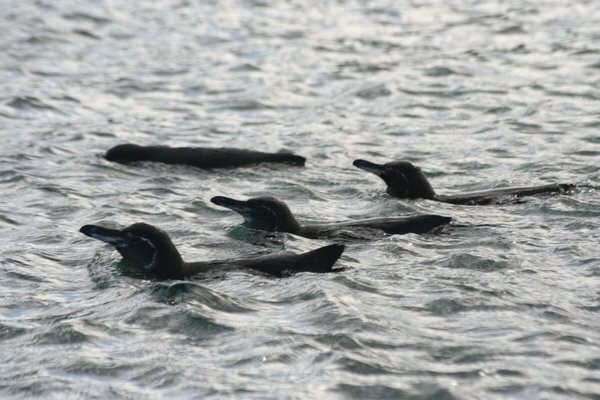 I will use this part of the blog to be a teacher and to introduce you to some of the most special and unique creatures, flora and fauna on our remarkable planet and in our island paradise. One of my favorite things in all the world is taking my hotel and cruise ship guests swimming with sea lions. Here, you can read about this spectacular experience. Nothing compares to frolicking with the baby pups! Following the attempted smuggling and theft of iguanas by a Galapagos tourist, it was important to remind ourselves of just how important these creatures are to the Islands and how we must do all we can to protect them. 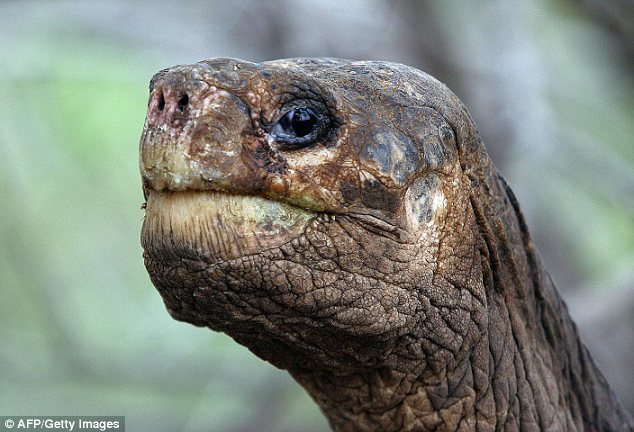 On June 25, 2012, Lonesome George, the last known subspecies of Galapagos Tortoise from Pinta Island died at the age of about 100. 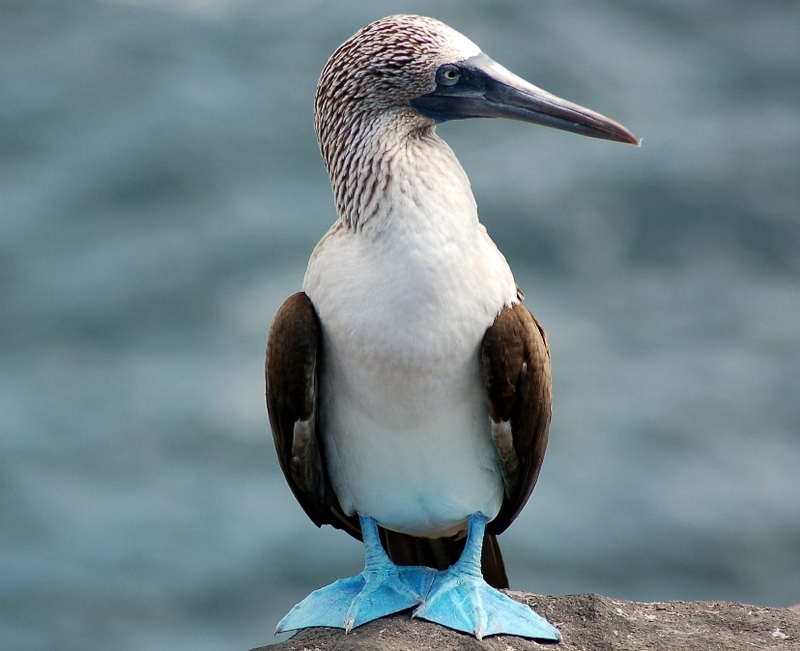 George was a steadfast symbol of Galapagos conservancy and Darwin's philosophies. George is missed. 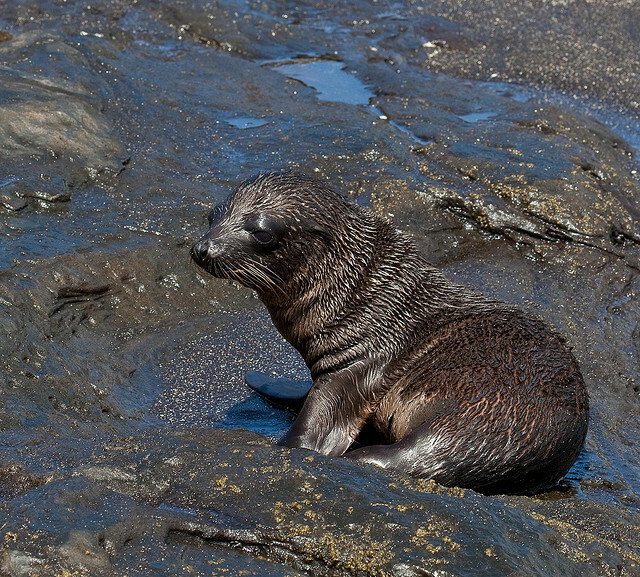 The Galapagos Islands are formed from lava - dark, hot and not conducive to growth. Over time, green does appear here and there, even flowers come out in the spring and summer, but most of the time, we are bathed in earthen tones against a bright blue sky. One way in which the endemic creatures have adapted to their environment it to develop layers of camouflage so that they literally melt into their surrounding, thereby protected from any interested prey. 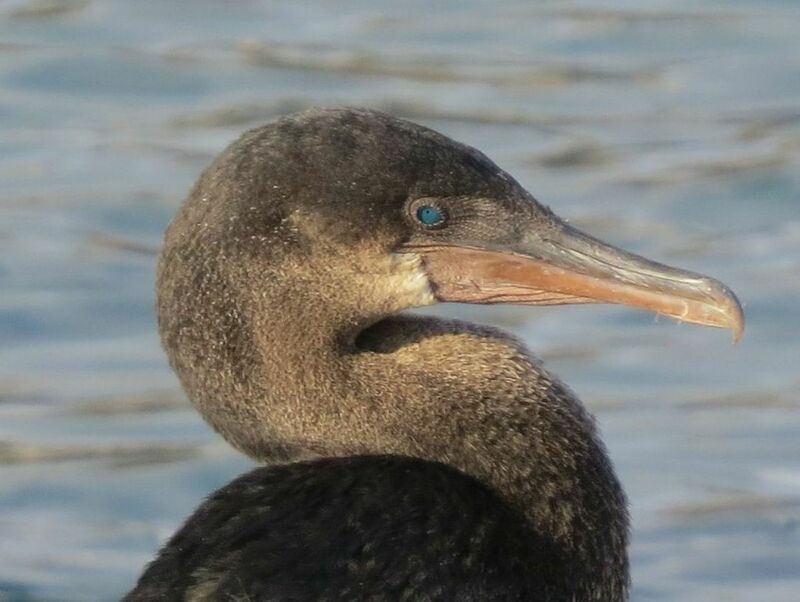 Cormorants exist throughout the world but only on Galapagos have they transformed into birds that do not fly. With their stunted wings, they are adapted for swimming and into the ocean they go to forage for their food. 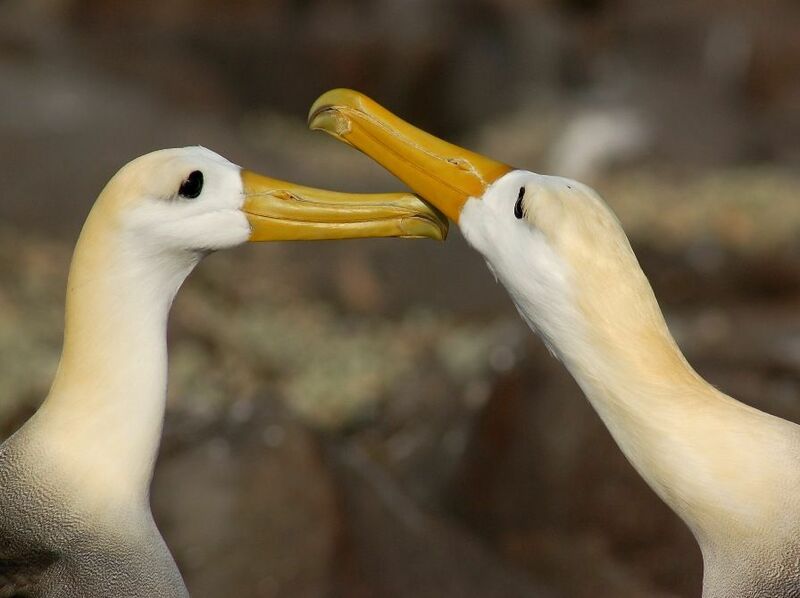 Another species that is very special to the Galapagos Islands is the waved albatross. These majestic birds travel every spring to Espanola Island, the only place that they mate in the entire world. Their mating dance is elaborate and as the couples mate for life, they are actually doing a dance to display that they miss one another - however it is that birds experience "missing." Watching the adults as they come in for a landing and the baby chicks learn to fly can be a little disconcerting as these birds really are much better at flying than landing. Everyone who comes to our Paradise wants to see the Blue Footed Boobies. And it's no wonder. These glorious birds are unafraid, pose for the camera, let you watch and even imitate their mating rituals and, over all, bring joy to every one who meets them. They are amazing divers and watching them literally dive bombing for their dinner is like nothing else you ever will experience. 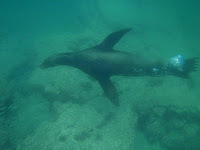 We see lots and lots of sea lions and fall in love with them as they frolic, play, swim, laze around in the sun. 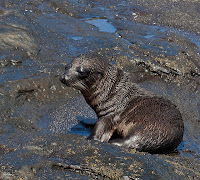 We see far fewer seals, and when you do encounter a seal, it's important to know that they are very distinguishable from the sea lions. This post informs you all about those distinctive differences. Watch this space as I add more articles about the wonderful non-human inhabitants of our islands. And, please add your comments and write and let me know what you would like to hear about. I'd love to share my knowledge with you.